John Galliano put on a fabulous display for Christian Dior's haute couture 2010/2011 Fall-Winter show in Paris. 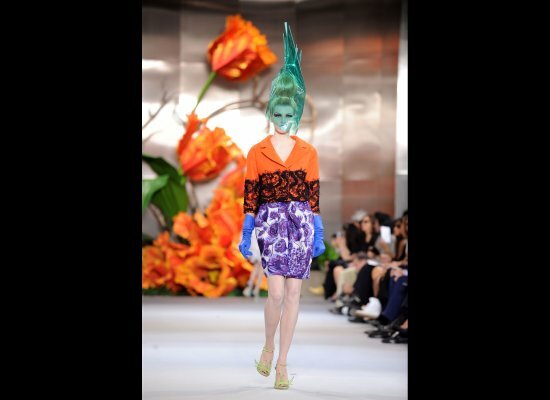 Seems like Galliano unleashed his flower gardening skills onto fabric as each design embodies a floral aesthetic. Watch as his collection showcases "full ballerina skirts in baby pink tulle and a rainbow of applique petals in featherlight chiffon enveloped the nip-waisted Bar jackets."